There are plenty of hair loss products in the market. Some include active ingredients that can potentially stop or slow down the process of hair loss, the others, with no known or proven effects for hair loss treatment. Many of these producers claim that they are specialize in providing the most current information available on female and male hair loss products, hair restoration, and reestablishment of the beauty of your hair. Which one of the hair loss products are really working? We receive many questions regarding a variety of hair loss products that are out there in the market some cheap and affordable but many expensive with many claims due to their effectiveness and safety. Unfortunately not many of those hair loss products have active ingredients that are known as preventing hair loss or re-growing hair to some extent. 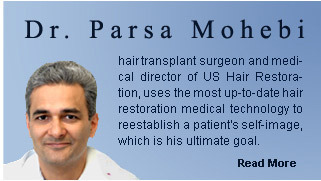 The hair loss product is a multibillion dollar industry that gets fed through a huge marketing procedure. The only medications that are currently known as hair loss preventing drugs are the ones with DHT blocker substances or the ones that have minoxidil in their ingredients. There are many products for hair loss that contain vitamins. Typical hair patterned hair loss conditions are not caused by vitamin deficiency so they don’t require vitamins for their treatment. The topical solutions of vitamins are not even absorbed from the skin to the level that they can be used by follicular cells.